Coastal Hog Roast Enjoyed By All! A bit of healthy competition is never a bad thing, especially if it involves something as fun as making your own kite and launching it on the beach in the hope it stays in the air longer than those of your competitors! This was the reason for Hog Roast Fowey’s latest trip to the coast, as the event organisers decided one of our hog roasts was going to be the star prize for the winning kite maker! Everyone else would get the chance to tuck in too, but the winner would receive it for free, as well as a certificate for having the best kite on the day. Being creative sorts ourselves, we couldn’t wait to see all of the of the different designs everyone came up with and it also goes without saying that we love catering on the coast whatever the occasion! There was a nice kite-friendly breeze when we arrived and everyone had high hopes that the competition would be a great success! As we set about preparing our locally-sourced pork and accompaniments, we had the opportunity to suss out the kite creations before they were launched. Our personal favourite was an X-Wing shaped kite, but we did have our doubts about how aerodynamic is was going to be! Alas our concerns were justified, when it flopped limply into the sea immediately after being launched, but it soon had a lot of company, as one by one, the kites went splat! The last kite flying was a more classic design made by 10 year old Katie, with a bit of help form her dad! The winning father and daughter team got an enthusiastic round of applause as their kite was still swooping solo through the air and then they had the honour of being the first diners to approach ours serving table to be rewarded with one of our delicious pork butties! 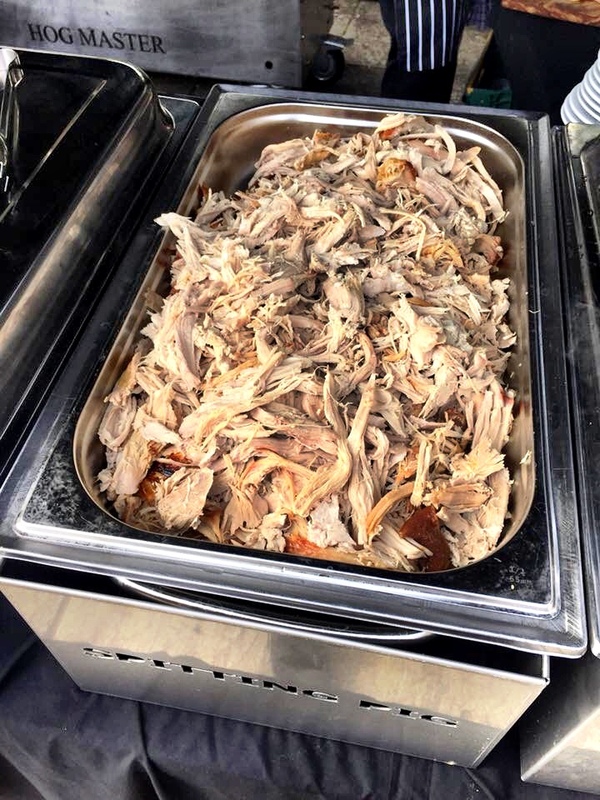 Everyone else was quick to follow and as soon as everyone was served, they all forgot about their disappointing performance in the air as they tucked into Hog Roast Fowey’s fantastic freshly-made food! It was a really fun day for all the competitors and for Hog Roast Fowey and as always, it was great to see everyone enjoying our food in the fresh air!